Is Marijuana the Solution to the Opioid Crisis? - - Is Marijuana the Solution to the Opioid Crisis? If you're new here, you may want to subscribe to our blog to get the latest stories. RSS feed. Or subscribe by email visit our Contact Page. 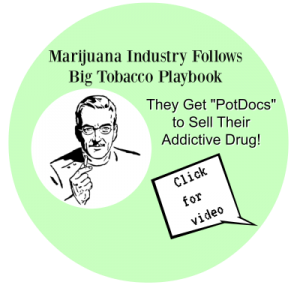 Stop the Medical Marijuana Scam! A sting operation in Houston, Texas discovered that CBD products being sold in smoke shops, convenience stores, mercados, and gas stations are tainted with dangerous synthetic chemicals and even THC. Watch this important press conference and then share it with others. We need to spread the word, that CBD products are not safe and can endanger you and those you love. Houston Police Chief Art Acevedo, Harris County Attorney’s Office representative, and Houston Emergency Medical Services Dr. David Persse brief the media on illegal and dangerous substances found in CBD oil seized at three Houston smoke shops As part of a months-long investigation, HPD Narcotics Division officers have repeatedly purchased CBD oil from multiple Houston smoke shops. Cannabidiol (CBD) was initially discovered as a medication to treat Dravet syndrome, but is now used extensively to treat several medical and lifestyle disorders in addition to being used as recreational drug. One of the popular modes in which is available is CBD oil.